For ethnic Chinese, a typical Chinese New Year would involve gathering with family members at your elders’ house, cracking nuts and tangerines open while watching a variety show on TV. Kids would be running around, and the young might be comparing how much red packet money they have received. That’s what a modern New Year looks like, but did you know that many of the old traditions surrounding Chinese New Year have been erased with history? Chinese New Year used to be bathed in religious and cultural significance. However, as a result of developments in the Eastern world, they have been cast aside, so most are not aware of these traditions. Here’s a look at seven key changes revolving how Chinese New Year is being celebrated. 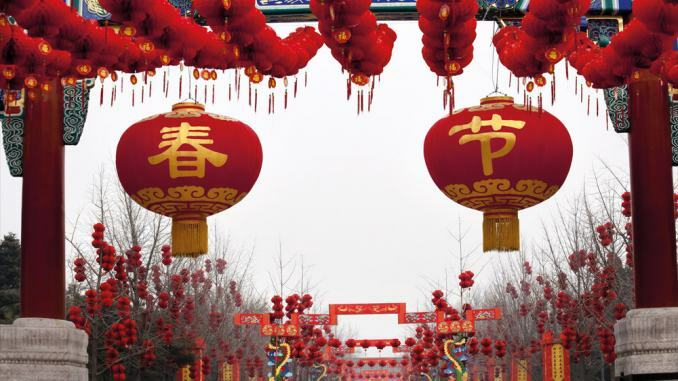 Did you know not all Chinese people call the holiday Chinese New Year? In China, the holiday is commonly referred to as Spring Festival (春节). This is because in 1912, the ruling Kuomintang Party renamed it to Spring Festival as they wanted the Chinese to celebrate according to the Western Gregorian Calendar instead of following the Lunar Calendar. In fact, in 1928, the Kuomintang shifted the Spring Festival to the 1st of January, in order to follow the Gregorian Calendar. It’s then no surprise that the “Spring Festival” name stuck, as Mao wanted to get rid of everything traditional or the Four Olds — old ideas, old customs, old culture and old habits. One of the key traditional customs that has been banned since the Cultural Revolution is the Kitchen God ritual. 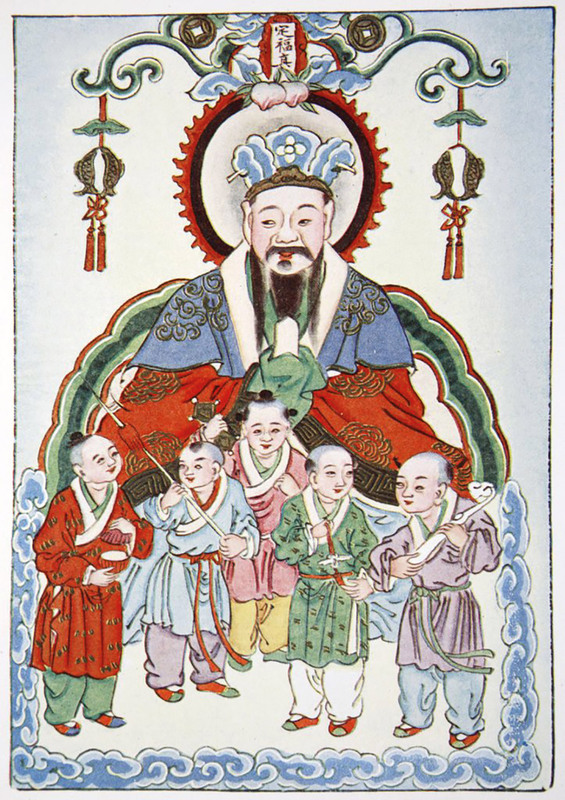 In the old days, a paper with an image of the Taoist deity is hung up over the kitchen stove, and once a year during Chinese New Year, the image is burnt for the Kitchen God to return to heaven. He then gives a report to the Jade Emperor on how the family has behaved for the year. This is where families often smear the Kitchen God’s lips with honey on his paper effigy to sweeten his words or to keep them stuck together. Traditionally, families would also light firecrackers to speed him up on his way to heaven. The Kitchen God is associated with domestic life and looking after the family. Kitchens are central to traditional Chinese households. When a father, the head of the family, passes away, the eldest son inherits the stove, while his brothers transfer the coals from the original stove to their own new stoves. This process, called “pun chu”, indicates the soul of the family and signifies its fate. The Kitchen God is thus one of the key religious elements in Chinese New Year, yet few recognise it today. Most youth wouldn’t even have known about it or its significance. The Chinese love their steamed buns, and during Chinese New Year, it’s no exception. Steamed buns signify reunion and happiness, and it is often consumed during the festive season. Buns are sold everywhere now, but people had to make them by hand in the olden days. In the past, there was an old saying that you should get the dough fermented on the 28th day of the 12th month of the lunar year. That’s because dough with yeast went bad really quickly, so people waited right up to two days before new year to ferment the dough. However, people no longer do that, because of modern inventions like the refrigerator. Similarly, there’s also an old custom surrounding steaming the buns. People used to steam buns on the 29th day of the 12th month of the lunar year, as it was considered unlucky to steam buns from the 1st to 5th days of Chinese New Year. Now, it’s easy to find steamed buns everywhere and anywhere not just during Chinese New Year, but throughout the year as well. The colour red has come to be associated with Chinese New Year and typically, it is splayed across displays and banners throughout the world, often accompanied with an accent of gold. However, the abundant use of red is actually a modern alteration to Chinese traditions that only came about after 1949, when the Chinese Communist Party popularised it as a symbol of bloodshed. In ancient China, red was only used sparingly to accentuate details. Even the Han Dynasty, which was associated with the element of Fire, did not wear red as much, according to Dr Zhang Tian Liang, who teaches Chinese history at Fei Tian College in New York, the United States. However, the Chinese Communist Party has now overused it in every aspect of Chinese society in their propaganda, according to Dr Zhang. During Chinese New Year, people gather to watch red dragon performers and lion dances with red calendars hung in kitchens, oblivious to the political subtext of the excessive use of red. Firecrackers were banned in Singapore because of the loud noise and hazards they posed. This happened in 1972, when the government started to implement regulations. During the Chinese New Year season in 1970, things got out of hand and six people were killed, with 25 people injured and $560,390 worth of property damaged. However, in China, fireworks and firecrackers have been banned again since 2017, citing pollution concerns. These firecrackers were not simply for annoying neighbours; they were supposed to scare away Nian, the New Year monster. Legend has it that at the beginning of every Chinese New Year, Nian comes out to villages to feed on children, but its weakness is loud noises. Hence, the villagers would put on firecrackers to scare Nian away. As firecrackers had a traditional significance, the ban served to reinforce the eradication of the Four Olds. Traditionally, firecrackers were made of bamboo shoots which crackled and popped, but modern firecrackers are much more powerful and can become a safety hazard. In 2004, there was a rumoured Lantern Festival firecracker display in Beijing’s Miyun district, where 37 people were killed in a stampede when four million people gathered. The 3rd day of Chinese New Year is said to be an unlucky day, according to folklore. It is the Scarlet Dog Day (赤狗日), and whoever went out and met him would have bad luck. Hence, it was tradition not to go out visiting that day. Of course, people have stopped honouring this tradition and now go visiting on Day 3. In Singapore, it is very common for people to visit relatives or have New Year meals even on Day 3. It is very likely that most have not heard of this superstition at all. It’s now a New Year ‘tradition’ to gather in front of the TV to celebrate the New Year, as children and adults alike stare silently at television screens that display variety shows and New Year movies. Of note, the most popular TV programme is CCTV’s Spring Gala Festival, which drew more than one billion viewers to the broadcast in 2018. The programme usually features a mixed bag of dancing, acrobatics, magic acts, xiangsheng (cross-talk) and sketches. However, since the 1990s, there have been heavy political undertones and propaganda in the programme. Segments of the show are now devoted to celebrating Communist Party leaders such as Mao Zedong, Deng Xiaoping, Jiang Zemin and Hu Jintao. There is also a segment celebrating the previous year’s ‘national achievements’. In 2008, there were reports that major officials from the Propaganda Department of the Communist Party were on scene during the gala’s rehearsal to supervise the production. The 2014 show featured Xi Jinping’s “Chinese Dream” ideology, with nationalistic songs. Aside from politics, the artistry of the segment has been criticised by the public with its garish costumes and outrageous skits. 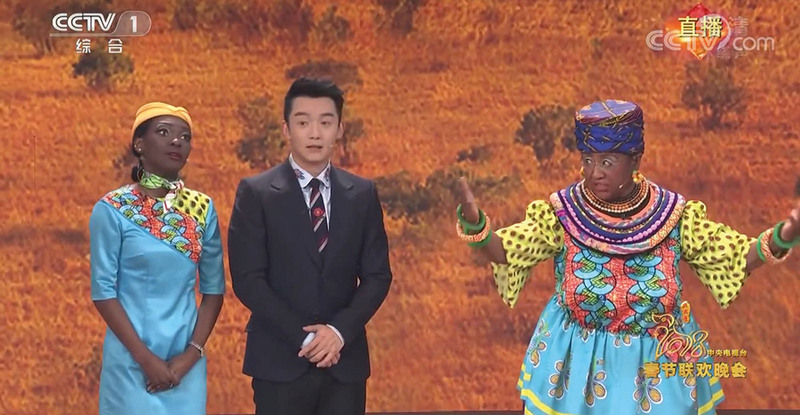 The 2018 Spring Festival Gala received backlash due to its comedy skit focusing on China-Africa relations. Chinese actress Lou Naiming was wearing blackface and prosthetic buttocks, and netizens bashed the skit for reinforcing African stereotypes. 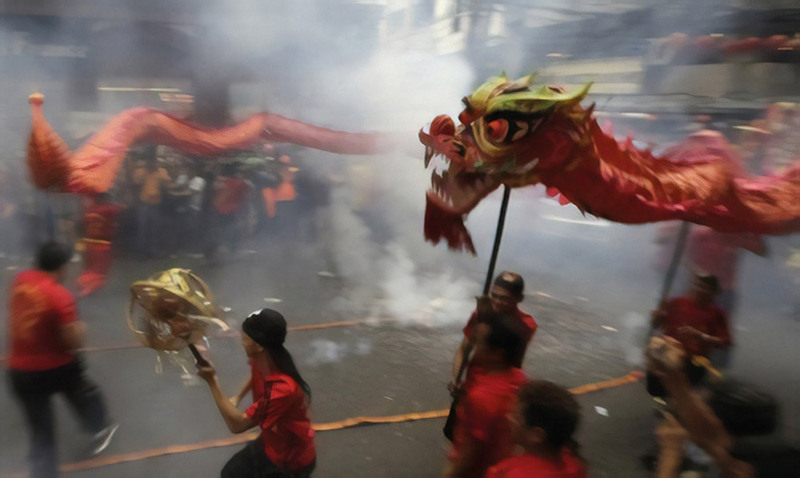 Is the Generational Gap killing Chinese New Year? Now, in 2019, many of the traditions of what made Chinese New Year what it was have been forgotten, at the cost of cultural brainwashing and economic development. Singapore has followed suit from China with the loss of these traditions, albeit in a subtler way. These traditions have gone away, some for practical reasons, some not so much, but one thing remains true — many young people no longer see it as a holiday with religious and cultural value. Hence, many are simply going through the motions, and Chinese college students are reporting that they prefer surfing the Internet, sleeping, watching TV or spending time with friends instead of being with their families. The meaning of Chinese New Year has certainly evolved, with Chinese Singaporeans choosing to travel overseas during the long weekend. Some do not see the point in celebrating the new year, or actively avoid their relatives for fear of awkward situations. It seems like there is a gradual change in the old traditions, and it is happening throughout all cities. Will the true meaning of Chinese New Year ever be revived?